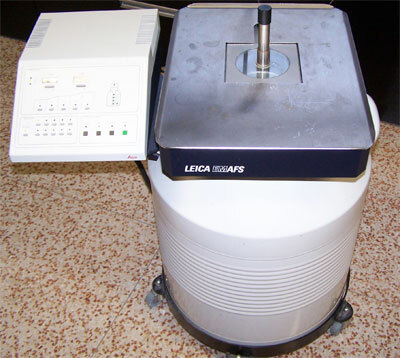 Dehydration of frozen biological samples at low temperature. Dehydration of chemically fixed biological samples at subzero temperatures according to the PLT technique (progressive dehydration). Infiltration of dehydrated samples with embedding media at subzero and higher temperatures. UV- polymerisation of embedded biological samples at subzero temperatures in capsules of various kinds or in flat embedding moulds. Conventional dehydration, embedding and heat polymerisation used for biological samples.